Paleo/Archaeo Astronomy at the Grave Creek Mound? may have been an important element of the ancient history of the Grave Creek, WV. area. 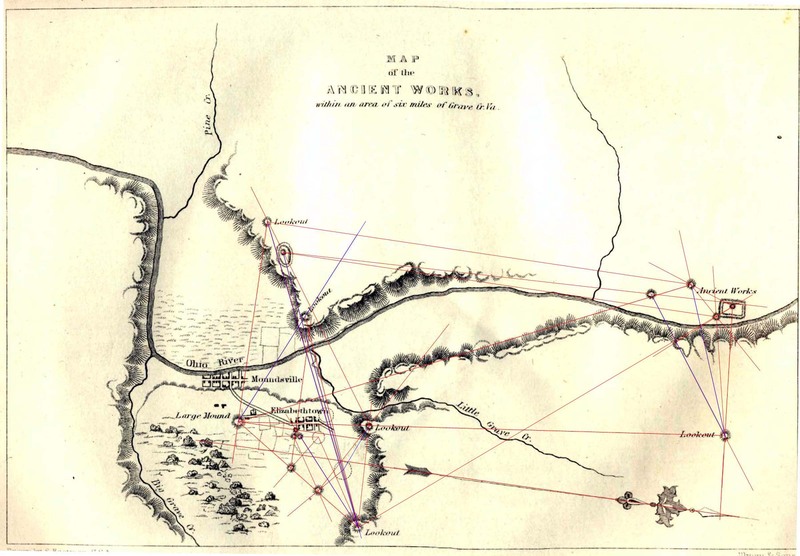 The working hypothesis is that there are "apparent" alignments among the various mounds and other earthworks, suggesting that a thorough analysis with the technology presently at hand might give evidence of a sophisticated knowledge of celestial objects and events, as evidenced by an interelated complex of mounds and other earthworks. A collection of resources relating to possible "ancient astronomy" among the "Mound Builders" in the Ohio Valley region. Grave Creek Symbols, astronomical text? Grave Creek Mound, built by Cherokees? Sunrise, Moundsville...June 21st, 500 A.D.
Sunrise, Moundsville...December 21st, 500 A.D.
Sunrise, Moundsville...March 21st, 500 A.D.
Sunrise, Moundsville...September 21st, 500 A.D.
Paleo-astronomy in Sardinia... Relating to Western megaliths, Stonehenge etc.